The Korean tech giant will unveil one of the most anticipated smartphones of the year. 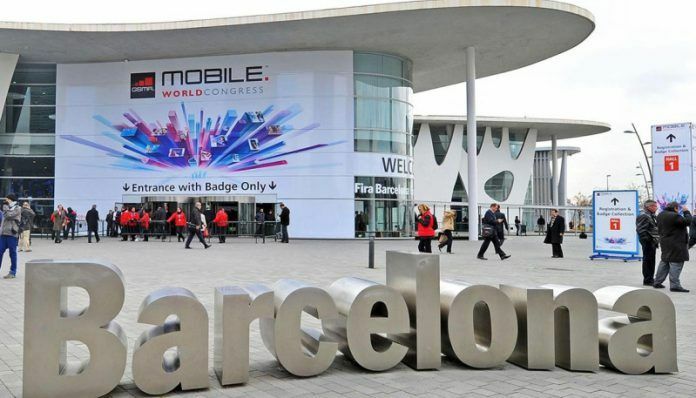 The announcement will come before the MWC kicks off, as Samsung would like to keep all the limelight to itself. It is almost confirmed that we will get to see the Galaxy S10 line-up. As suggested by countless reports, there will be at least three models. 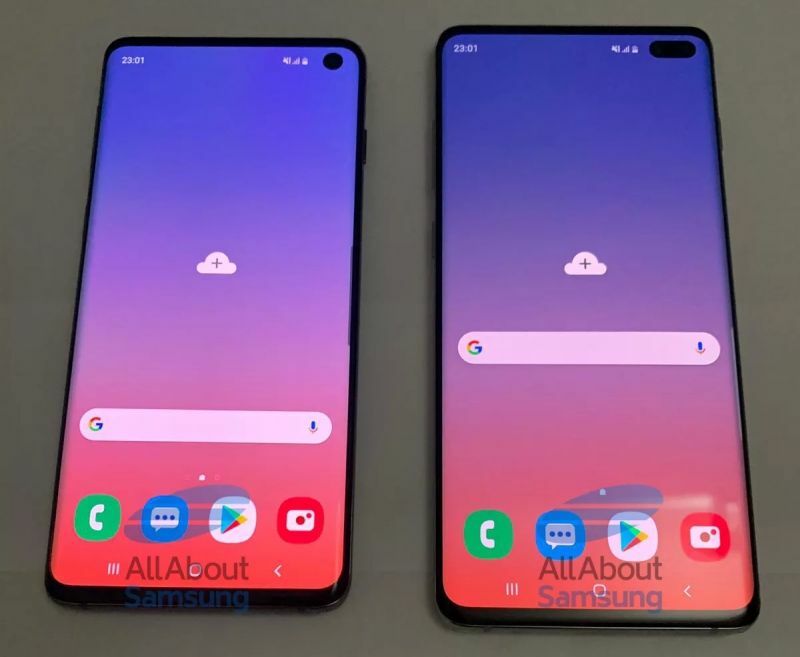 The Galaxy S10, a watered-down S10 Lite, and a S10 Plus with a larger screen. 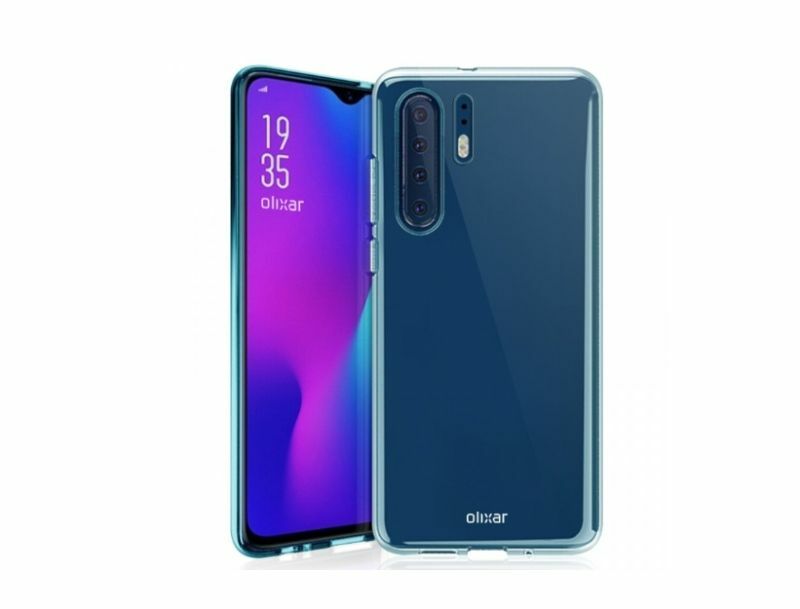 The first two will have a Galaxy A8s esque in-display punch-hole camera. The Plus model will double down on that with a dual punch-hole camera setup on the front. Let’s hope that Samsung will also reveal its foldable phone in full glory. Unless of course, it has decided to bury it in a barn after witnessing Xiaomi’s superior foldable design. The world’s second largest smartphone maker Huawei will stop at nothing to dethrone Samsung. The company will try its best to steal the Galaxy S10’s thunder with its P30 Pro. The rumor has it that Huawei’s next flagship will continue to focus on the photography aspect. The P30 Pro is likely to sport a quad-camera setup on its back. 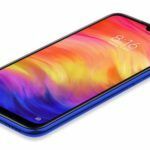 The company will replace the P20 Pro’s ugly notch with a less obtrusive waterdrop notch on the P30 Pro. 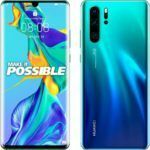 The phone will also improve upon some of the unique features found in previous Huawei flagship devices. The P30 Pro is likely to come with more usable reverse charging technology. In addition to P30 Pro, Huawei may also show-off its foldable phone. I don’t remember the last time Nokia made a truly remarkable flagship smartphone. The Lumia 1020 from 2013 was probably the last bold smartphone to wear a Finnish badge. It seems Nokia’s new home HMD may change that by introducing the Nokia 9 at MWC 2019. 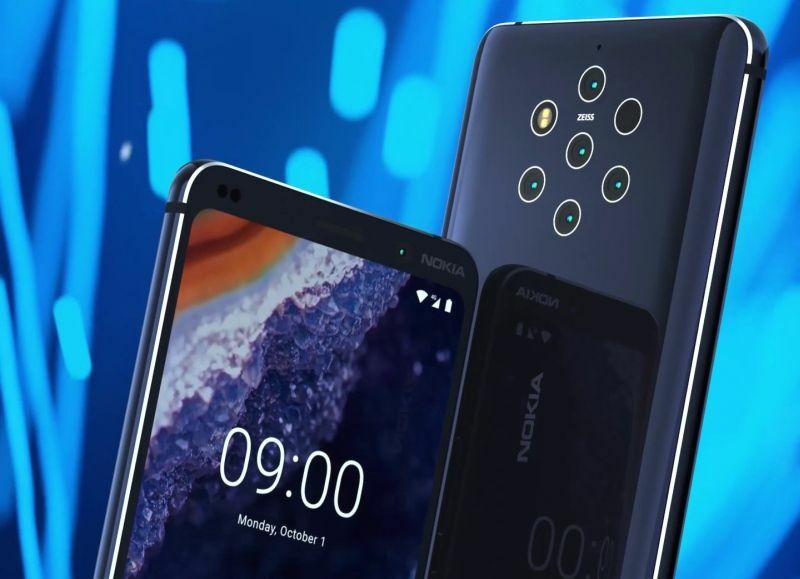 Much like the Lumia 1020, the upcoming Nokia 9 will stand out thanks to its photography skills. According to @evleaks, the next Nokia flagship will feature a whopping penta camera setup. What’s interesting is that this handset’s camera might use American brand Light’s photography tech. HMD has outsourced the manufacturing of Nokia phones to Taiwan’s Foxconn. And Foxcon has access to Light brand’s unique camera tech as a part of the investment agreement from 2015. It will be interesting to see how Nokia 9 will stack up against the competition. LG made some good phones such as the G3 and G4. however, just when people started considering as an alternative to Samsung’s Galaxy series phones, LG launched a gimmicky modular G5 that none asked for. Years after that phone bombed, LG is still struggling to attract buyers. As a result, the onus of changing this situation lies on the LG G8 ThinQ. 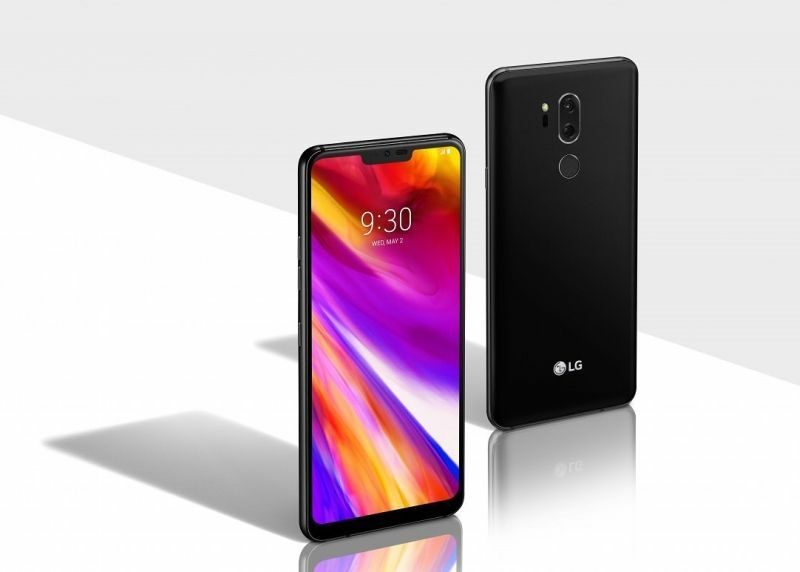 So, what’s LG’s plan to stand out? Well, going by its teaser, the company is betting big on touchless user interface. It boldly states, “Goodbye touch” in its MWC press invites. Let’s assume LG has developed a brilliant gesture-based UI and it works perfectly on the G8 ThinQ. But, why would I want to wave my hand in the air like a fool while the phone sits right on the palm of my other hand? It makes sense to implement such UI on a TV or game console, because in such cases the display lacks touch input and is away from a user. Anyway, come MWC, we will find out if LG manages to convince us to ditch the touch interaction, or the Korean brand turns out to be completely out of touch. The biggest takeaway from Sony’s MWC event will be the fact that the Japanese haven’t given up on their smartphone ambitions. Sony will bring its flagship phone Xperia XZ4 to the event floor. 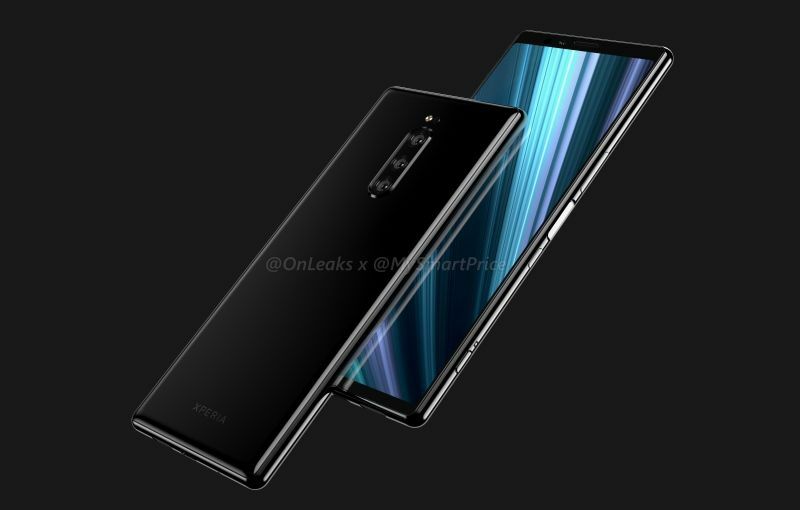 As per the information and renders we exclusively obtained from @OnLeaks, the successor to the XZ3 is likely to feature a thin-bezel design. Sony will choose not to jump on the notch bandwagon. 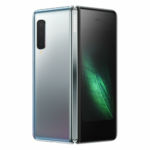 The phone will have a premium glass sandwich design with a metal frame. Its 6.5-inch display will offer a rather wide 21:9 aspect ratio. The XZ4 will be powered by Qualcomm’s Snapdragon 855 chipset with support for 5G networks. 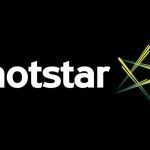 It will have 6 GB RAM and up to 256 GB internal storage. It will be Sony’s first phone to feature a triple-camera setup on the back. On the software front, you can expect, Android 9 Pie. 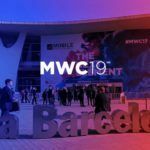 Xiaomi is geared up to showcase its first 5G smartphone at MWC. 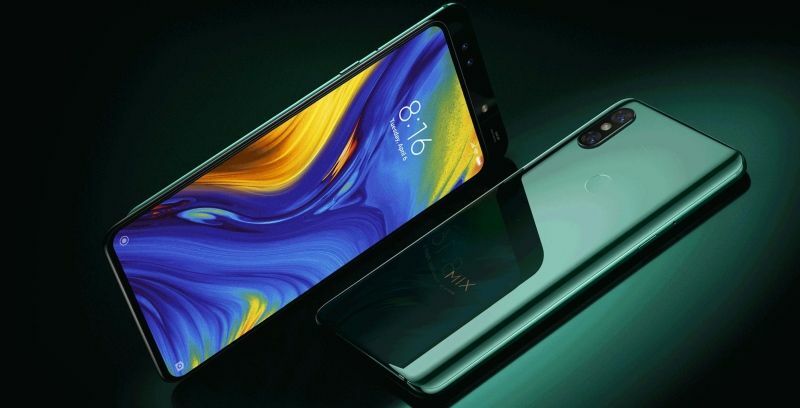 The device is expected to be a beefed-up version last year’s Mi Mix 3. As opposed to last year’s Snapdragon 845 powered handset, 5G variant of the Mi Mix 3 will be fueled by Snapdragon 855 chip. This SoC (System on Chip) is equipped with the X50 modem that makes gigabit speeds possible on 5G networks. Rest of the specs and design are likely to be same as that of the Mi Mix 3. Thanks to a sliding pop-up camera mechanism, you get a gorgeous 6.4-inch OLED screen without any notch. Unlike the Oppo Find X though, this slider is manual. Looking at the timing of Xiaomi’s recent teaser of its foldable phone, the company might showcase the device in Barcelona.